Restore Cootes is honoured to be the inaugural workshop in this new outdoor educational series. 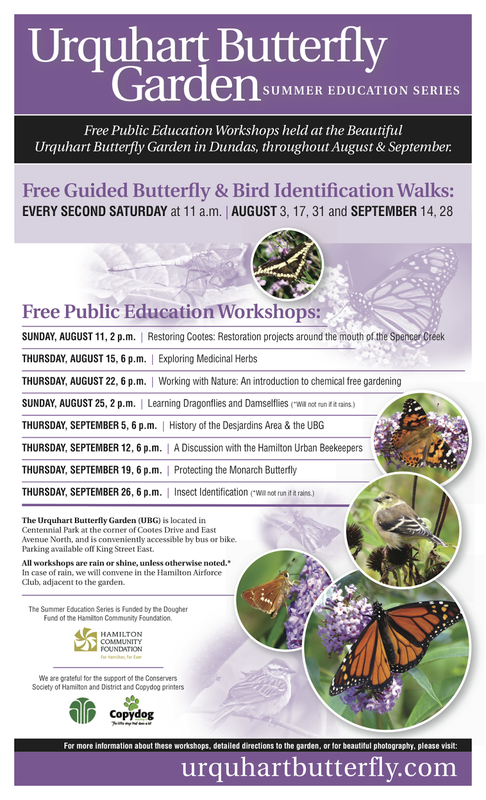 Join us Sunday, August 11 at 2pm at the Urquhart Butterfly Garden in beautiful Dundas Ontario. Randy Kay of Restore Cootes, and McMaster Biology Professor Jim Quinn will discuss the history and the future of this area, including Desjardins' Canal, Spencer Creek, Cootes Drive and McMaster's parking lot M.
The series is free and open to all!